Monday, Tuesday and Wednesday up to 1pm on Wednesday of WTM 2014, saw percentage year-on-year increases for visitors, and overall participants, with all delegates including visitors, buyers, international media and exhibitor personal up 5%. According to unaudited figures, in total WTM 2014 has had a total 82,213 visits compared to 78,035 at 1pm on the third day of the 2013 event. The first day (Monday 3 November) of WTM 2014 was a resounding success with invite-only visitor attendance up 9% on last year’s event to almost 9,692. This includes a 13% increase in invited WTM Buyers' Club members. The Monday of WTM is an exhibitor invite-only day to allow exhibitors to hold discussions and negotiations with those buyers that they want to conduct business with. Exhibitor personnel was up 3% to 12,289. On Tuesday 4 November, 19,706 visitors came to WTM, a massive 8% increase on the second day of last year’s event. Tuesday is the busiest day of WTM as it is the first day the event is open to the whole industry following on from the exhibitor-invite only policy on the Monday. Furthermore, exhibitor personnel was up 5% to 12,640. 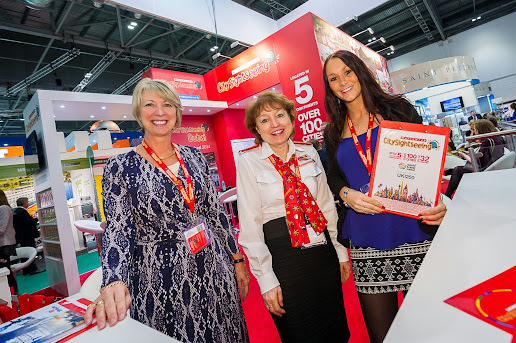 At 1pm on Wednesday 5 November, WTM 2014 welcomed 7% more visitors (12,582) than at the same time at WTM 2013. Exhibitor personnel was also up 1% to almost 10,000 (9,975) people. International media attending WTM was also up 1%. World Travel Market, Senior Director, Simon Press said: "I am absolutely delighted with the delegate attendance of WTM 2014 up to 1pm on Wednesday. These figures demonstrate the power and importance of WTM to the industry and the role it plays in facilitating business for sector."